At last count, Cape Cod restaurants numbered over 400. That means that you could eat in a different restaurant everyday and still not try them all. That is a lot of not-so-good restaurants to try, in order to find the good ones. Your vacation time is much too precious and your hard earned dollars too valuable to waste. We have spent many years ferreting out the best restaurants that the Cape has to offer. During that time we have discovered many great Cape Cod restaurants for kids and families, many great romantic Cape Cod restaurants, as well as great clam shacks. Our goal is to guide you through the maze of Cape Cod restaurants, so that you arrive at only the best that the Cape has to offer. We will only list restaurants which we have personally visited and thoroughly enjoyed. That is not to say that these are the only restaurants that we have tried. If a restaurant was not very good, we simply wont list it. Just because we dont give bad restaurant reviews, doesn’t mean that you can’t. 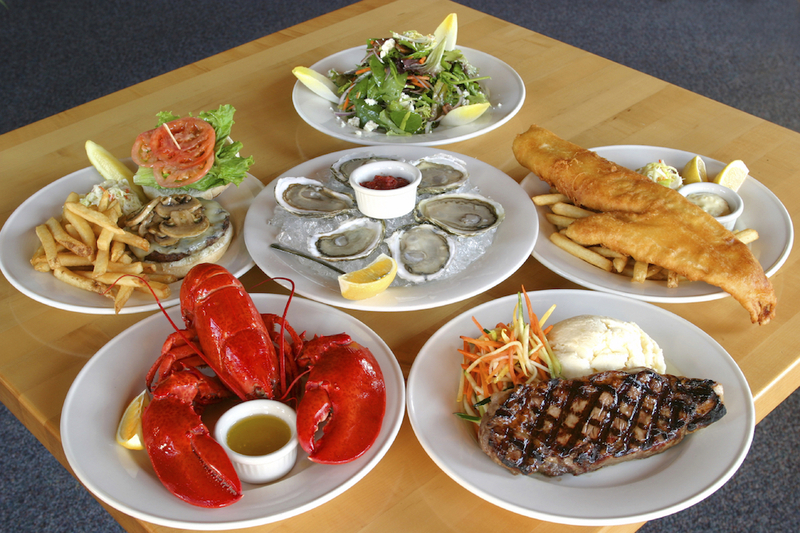 Visit our Cape Cod restaurant reviews page and you can post your Cape Cod restaurant reviews there for all to see. You can also submit your choice for best Cape Cod lobster roll, best clam chowder, and more…Check it out! You should also know that, unlike other web sites, Cape Cod restaurants can not pay to be listed here. If you know of a great Cape Cod restaurant that you feel should be listed here, please contact us and we will visit the restaurant and make our own determination. If we feel it is among Cape Cods best, we will include it. 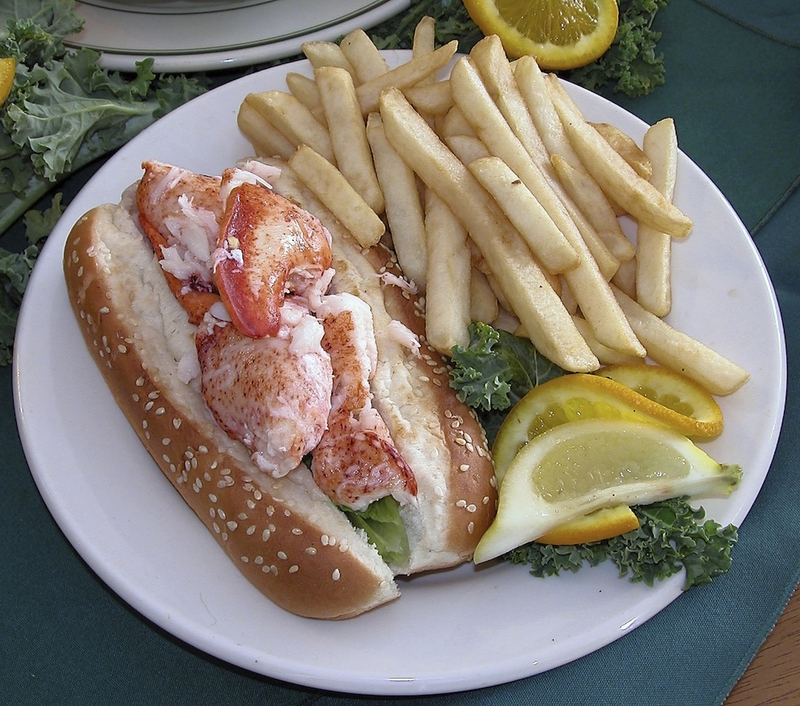 We will also list our favorites in categories such as, best Cape Cod lobster roll, and best Cape Cod clam shack. You can then vote for your favorites and we can determine what truly is the best of Cape Cod. May your Cape Cod dining experience be a memorable one! Open Daily for lunch and dinner April to early December. When you look at Brewster Fish from the outside, it looks small, but when you enter this gem, the word intimate come to mind. Owner Vernon Smith has done a wonderful job creating an intimate setting along with a menu focused on fresh local fish. This is not the place to take a bunch of excitable kids. It is THE place for Mom and Dad to go for a romantic dinner. They do not accept reservations, so expect to wait during the summer. Open year round for breakfast, lunch, and a light dinner. This is our favorite breakfast place on all of Cape Cod. You order your meal and then pick a table on the outdoor deck, overlooking the english garden, complete with trickling water fountains…Ahh…Marcia and her crew are wonderful. The coffee is good, the cappuccino better, and the baked goods are second to none! Cobie’s Clam Shack has been a Cape Cod tradition since 1948. Cobies serves fried clams, fried seafood, burgers, hot dogs, french fries and ice cream. Cobie’s is the quintessential Cape Cod clam shack, and definitely in the running for the best Cape Cod clam shack. There are plenty of picnic tables for outdoor dining. Open 10:30am-9pm daily late May to mid September. Chatham Bars is a member of the Leading Hotels Of The World, and rightfully so. They offer three distinctly different dining options, and you would be well advised to try each of them. One of our favorite things to do, even if we are not dining here, is to simply enjoy a cocktail on the hotel’s grand terrace overlooking North Beach and the Atlantic Ocean…A real treat! The main dining room offers panoramic ocean views, this is fine dining with jacket and tie requested at dinner. Don’t miss the legendary Sunday night buffet ($66). There is also a breakfast buffet $20 for adults, $11 for children. Reservations recommended. Call 508-945-6732. Hours: Breakfast is served daily from 7:00 a.m. to 11 a.m. Sunday Brunch 12p.m.-2:30p.m. Dinner 6p.m.-10p.m. Chatham’s family restaurant with a multi-cultural menu and an entertaining cast that includes both the crew and the customers. Open daily for lunch and dinner. The Squire has a very pubby feel and is a great place for lunch or a drink in downtown Chatham. 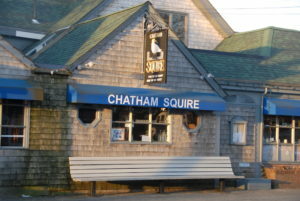 The first time I visited The Squire was during the off season…February I believe…I was amazed to find my favorite Cape Cod meal on the menu…Steamers, or steamahs as they are known in these parts. Hard to find in February, but there they were, a little sandy, as all the best ones are, and delicious. If you are looking for steamers in the off season…Check out the squire! Scargo Cafe is located across the street from the Cape Playhouse. They are very good at getting you to your show ontime. The former sea captain’s house is decorated the way you would expect, wood panelling and wainscoting offset by wonderful light from the 6 over 6 paned windows. They offer an extensive menu with eclectic appetizers such as shrimp or tuna “martini” and exquisite meals like Tenderloin a la Chevre, New Zealand rack of lamb, or Lobster and Scallop Risotto. Scargo is open for lunch and dinner year round. Reservations are accepted. On Sesuit Harbor, behind the Dennis Yacht Club. 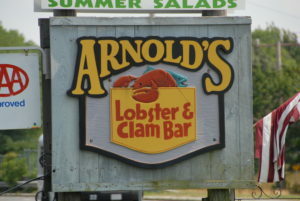 Arnold’s is a great clam shack…Maybe the best…You can sit in their open air dining area, or dine under the pines. This is a very casual eatery, come as you are…Right from the beach, or ride your bike. The Cape Cod Rail Trail runs right through the property! Don’t miss the shore dinner, complete with enough tender, salty steamers to fill you up, plus fresh corn and a lobster…Throw in bibs, beer, nutcrackers, lemon wedges, and lots of napkins for a fun, messy and completely satisfying meal! On the list of Cape Cod restaurants, this is not one to miss! Open daily mid May to mid September. Authentic Northern Italian and Mediteranean cuisine in a villa-like interior. As you walk through the door, you feel like you are stepping into Italy. Fresh pasta and fresh seafood, a perfect combination, whether you are dining with the family or looking for a quiet corner for a romantic dinner…La Cucina Sul Mare delivers. They do not accept reservations. Open daily for lunch and dinner. Waterfront on Saquetucket Harbor, Brax is a very popular local eatery featuring fresh, local seafood favorites like sauteed lobster, lobster stew, and very good steamers! The views from inside are nice, but for a real treat, get a table on the deck, overlooking the harbor. They are open for lunch, dinner and their famous Sunday brunch. Don’t miss this Cape Cod restaurant! Alberto’s offers exquisite Northern Italian cuisine in a casually elegant setting. Chef-Owners Felis and Donna Barreiro introduced Northern Italian cuisine and fresh homemade pasta to the Cape Cod restaurant scene for the first time in 1984. Their reputation for casual elegance arises from their emphasis on decor, service, and the pride they take in food preparation and affordability. Alberto’s is equally suited for a family meal or a romantic dinner for two. You wont be disappointed! Try one of the sidewalk tables for a real treat on a warm summer evening! Open for lunch and dinner daily. Located in the Cape Codder Resort, Grand Cru is quickly becoming a favorite Cape Cod restaurant. Step into the contemporary Mediterranean-style wine bar and enjoy a casual, yet elegant atmosphere with an extensive list of tapas, salads, local fish and shellfish. The well selected list of wines are available by the bottle, glass, or 2 oz taste. Oh…Did I mention live music on Friday and Saturday! We really enjoyed our meal here. Open Wednesday-Sunday from 5:00pm. Route 6A and Cove Rd. If we had to pick one Cape Cod restaurant to dine in…This would be it! John Murphy has created a place where everyone can hang out together. On any single day, you will find families, college students, and old time locals, sharing stories and great food in an old fashioned pub style atmosphere. The menu consists of everything from classic burgers to fresh local fish dishes…And…Ahh…Steamers…I can remember one day, a while back, we were waiting for a table(as you will always do, regardless of the season), when a man pulled up to the back door. He got out of the pick-up truck dressed in waders, and proceeded to unload buckets of fresh dug steamer clams! It doesn’t get any fresher than that. Cheers! John Murphy! Open daily noon-10. Captain Cass is a classic harborside lobster shack. A very casual Cape Cod restaurant, great place to take the kids. We are talking paper plates here. The seafood is as fresh as it can get. Feel free to BYOB, and don’t forget to catch the fabulous sunset at the mouth of Rock Harbor! And…Yes, there really is a Captain Cass. Open year round for breakfast, lunch, and dinner, Daniel Webster Inn offers four intimate dining rooms. My favorite is the sunlit conservatory, however you may prefer the more traditional main dining room. This is fine dining with white linens and superb service. If you are looking for something more casual, the Tavern at the Inn is a great choice. Don’t miss these great Cape Cod restaurants! Mac’s Shack is all about serving the pure goodness of the seasons local harvest. This is one spot you do not want to miss! Fresh seafood and some of the best sushi we have ever had, all served in a casual atmosphere. Get here early and be prepared to wait, but trust me, it will be worth it! This is one of our favorite Cape Cod restaurants! Captain Parker’s is a family friendly Cape Cod restaurant overlooking Parker’s River. They are known primarily for their award winning clam chowder. While the food is good, I have to admit that it is the clam chowder that keeps us coming back. Open year round for lunch and dinner. Please leave your questions and comments on the best Cape Cod restaurants below!